Tell us a bit about yourself and how you became the creative director of Tree of Life? I’ve worked for Tree of Life for nearly 15 years! Unbelievable when I see it written like that. I come from a colourful family and grew up in a super creative household and I think that paved the way for my Tree of Life destiny. It’s always great to have someone to push you a little further or in a direction you wouldn’t normally explore. What’s the best advice you’ve been given? Absolutely! I believe in that so much. And I firmly believe in collaborating with people rather than any single person playing the central role. I think the best advice has been just that from Wendy the founder of Tree of Life. She really showed me what it is to collaborate with our manufacturers in India. For all our work in buying and design we are always checking in with our suppliers to see what they think, what their years and years of expertise tell them show them and what they can teach us about the process. I try to use that for shoots too. You’re the photographer what do you see, you’re the make up artist what do you see? and so on. You recently came under fire for a campaign you directed, tell us a bit about the campaign and its underlying meaning. Ah yes! Free Love! This has been a long time coming for us at Tree of Life. It is a label dedicated to our divine Free Size customers. We have been searching for a way to offer Tree of Life to customers who do not fit the current run-of-the-mill mainstream size range. We didn’t want to patronise these customers and we didn’t want to offer them a diluted version, we really wanted to give them something wonderful. We looked at it every which way and then we had to jump off the deep end and just do it. Our concept for the campaign photoshoot itself was to celebrate these gorgeous bodies. But bodies that are different to the mainstream. It felt like the right time. And so we opened ourselves up to all sorts of criticism! People weren’t used to seeing these types of bodies in the way we represented them. Where did the inspiration for the campaign come from? It definitely felt like the right moment to challenge our customers. I think people still feel like Tree of Life is that little hippie shop and so they’re always keeping an eye out for us to behave like hippies and prove them right, or not behave like hippies and therefore prove them wrong. The inspiration for this shoot was the female world standing up and saying “enough is enough, we’re enough. 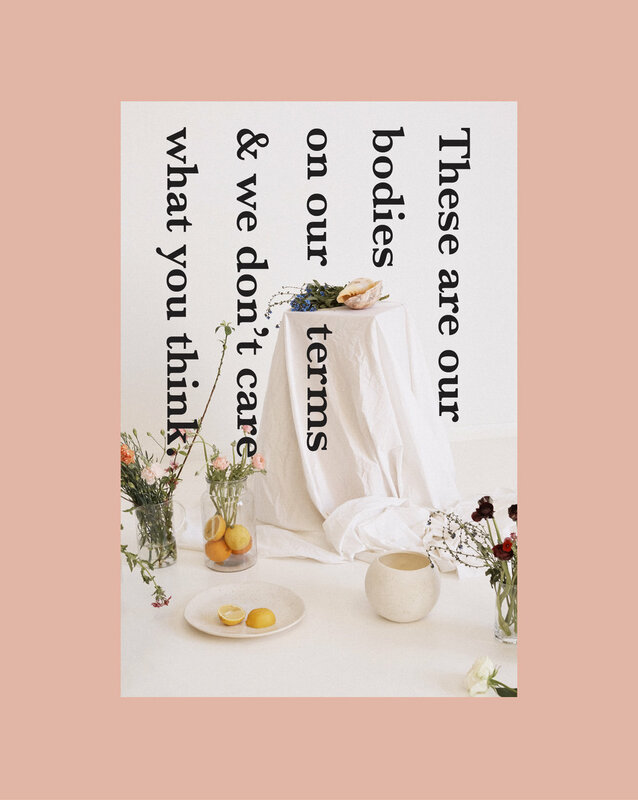 These are our bodies on our terms and we don’t care what you think.” That felt so powerful. This was one of my first shoots since returning from maternity leave. I think that absence allowed me to feel a little braver and a little less embedded in how we had been doing things before. So I tried to push the envelope a little bit and try something different. I received a lot of communication from a lot of different people good and bad and also really offensive! I’m really proud of that shoot. I think it will always have a place in my heart as a bit of a game changer. For me & for Tree. What makes a great aesthetic vision? So hard! Sometimes it just comes to you and sometimes it is a really slow burn. I think what makes it great is when you can really feel it. The magic I guess. I have a physical and emotional response to something that I love and I think that’s when I know its something super special. During our first day of shooting our summer campaigns in India I became really emotional. The vision I’d been working on for months and months behind the scenes was playing out in front of my eyes. There’s definitely an element of magic when the stars align like that. An effective set design helps the audience understand the story and message trying to be conveyed in the image. How do you translate an aesthetic vision to creating a set? Again I think sometimes it happens easily and sometimes you really have to work on it. 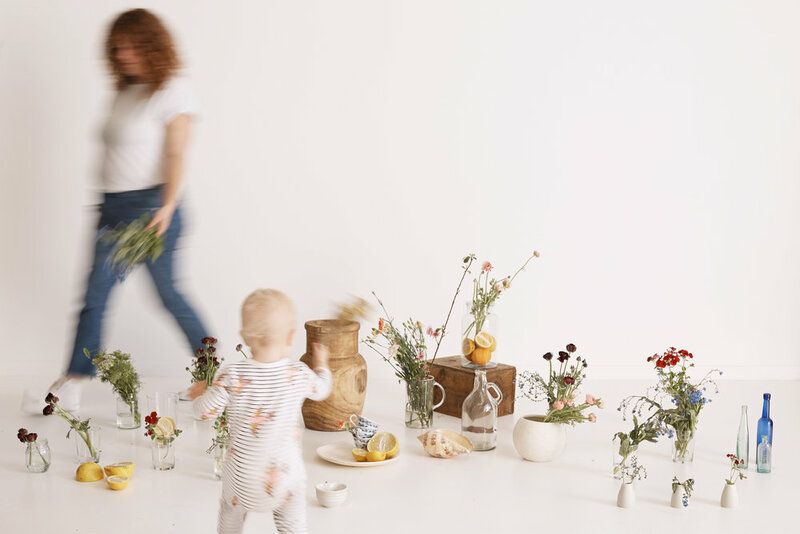 I’m a bit of a bowerbird for inspo so if you check my computer, my phone, my notebooks, my house they’re all full to the brim with tear sheets and screen shots and little trinkets “that might be useful for a shoot, a design or an idea”. You definitely need to keep your finger on what’s happening around you but you also need to look to what makes your heart full and gives you that buzz that something is working. And you have to stay true to the brand so finding one that you believe in and that suit you helps ten fold.